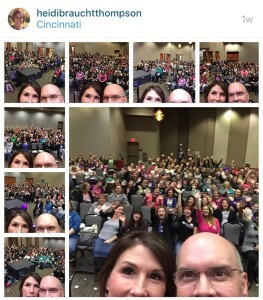 A few weeks ago, it was all about Scentsy in Cincinnati for World Tour 2016! 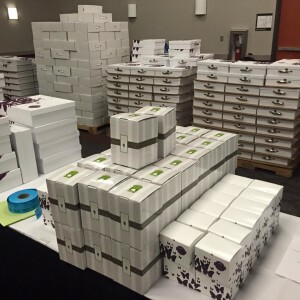 This was a LARGE Scentsy Corporate Event, with many stops throughout the US, and globally. I was asked to be the site leader of the Cincinnati, Ohio location. The Awesome Group (our Scentsy team) had close to 180 people that attended, with close to 800 Independent Scentsy Consultants total in attendance at the Sharonville Convention Center in Cincinnati Ohio. 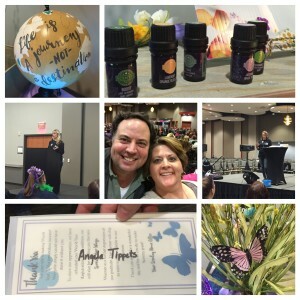 While Scentsy Corporate selected the training topics, I had the opportunity to select the presenters. I knew they would do an amazing job, and they totally rocked their presentations. 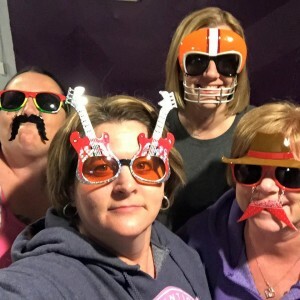 Once we had our presenters selected for Scentsy World Tour Cincinnati 2016, we needed a plan to build excitement up for about 10 minutes before the event started. A friend of mine shared that at their World Tour stop, they had a great time throwing candy into the crowd. It just so happens that our stop was less than a week away from Valentine’s Day. I thought that would be so fun for our Scentsy World Tour here in Cincinnati, Ohio. Lots of candy and treats were purchased, then I also got a bunch of fun butterfly Valentine’s Day cards with butterfly tattoos. It was perfect! They totally matched our new Scentsy Spring Summer Catalog with all the butterflies. Thank goodness for my Scentsy friends and teammates! We had lots of fun getting the Valentine’s Day cards ready for our Scentsy Cincinnati World Tour. At least we got to watch the Super Bowl and eat lots of treats. I wish I would have gotten a picture of the 8 bags we put together. We had a blast though! Our Scentsy team has such a fun time together -they seriously are the best! The day started off bright and early! We had to be at the Sharonville Convention Center in Cincinnati at 6:30 AM. There were about 10 Scentsy Consultants helping with the registration tables. It was so smooth and I love how they had everything ready for us! We had new Scentsy Spring products and home party tools, and the packaging on everything was BEAUTIFUL! You can’t see in this picture very well, but those boxes with the handles are so cute! The trainings at our Scentsy World Tours are always helpful, filled with ideas and tips to help us grow our Scentsy business. This year at our Cincinnati, Ohio stop, it was no different. We had great break-out trainings with our top leaders and Scentsy Directors in the area. 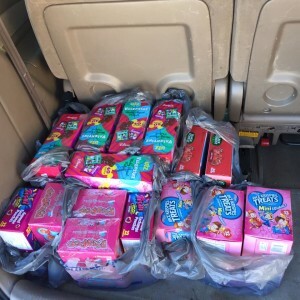 Our topics ranged from how to do Scentsy Basket parties, recruiting packets, fundraising ideas, party displays, Scentsy party games, product categories, fun invitation ideas, host coaching, following up with our customers, and getting new customers and contacts. I got a lot of great feed-back on our trainings and the work and effort from our presenters. They did GREAT! It always such an inspiration when Orville and Heidi Thompson, the owners of Scentsy are able to attend our Scentsy corporate events like Scentsy World Tour. Since there are so many locations, they aren’t able to attend all of them. It’s always a welcome surprise when they come. Our theme for this World Tour was “Find Joy in the Journey”. Orville and Heidi shared a past experience, and of course they always do a great job tying it in to life, and our businesses. I’m so grateful they came to our Cincinnati World Tour location. 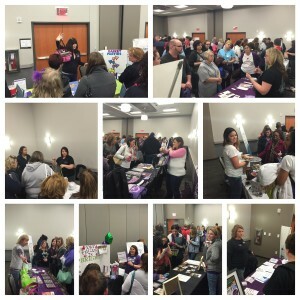 Overall, Scentsy World Tour Cincinnati was a successful event. We had close to 800 people in attendance, all wanting to do better and learn and grow -so exciting! 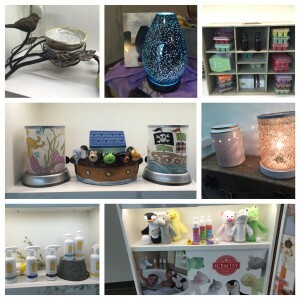 It was fun to see all the new Scentsy Spring 2016 products and can’t wait to show them off to our customers. Our attendees left with new information and ideas to grow their businesses, and how to find joy in the journey of life. Every year, Scentsy offers industry leading motivational events. There are local/regional events, similar to a small convention, huge Scentsy Conventions (we like to call them Scentsy Family Reunions), leadership trainings, and the awesome incentive trips that consultants can earn for FREE! In my 8+ years as a Scentsy Consultant, I have had the opportunity to attend most all of these events. The one thing I can always count on at a Scentsy Event is having a lot of fun, and what we like to call, “Scentsy Spirit” -always giving more than you take, and sharing lots of excitement and enthusiasm with others. It’s contagious!